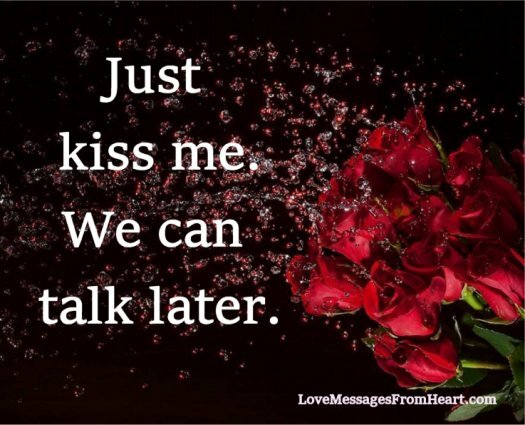 Just kiss me. We can talk later. I want to kiss you right now, I want to hug you tight and whisper my secret desires into your year. When you kiss me, my world is a happier place. When you kiss me, my heart purrs lovingly. A kiss, a dance, a candlelit dinner, music, you and I. Tonight. My dear, I want to press my lips against yours and kiss you 🙂 Then you kiss you more. Forget about your worries, just kiss me and lets cuddle. What a sweet sweet messages.